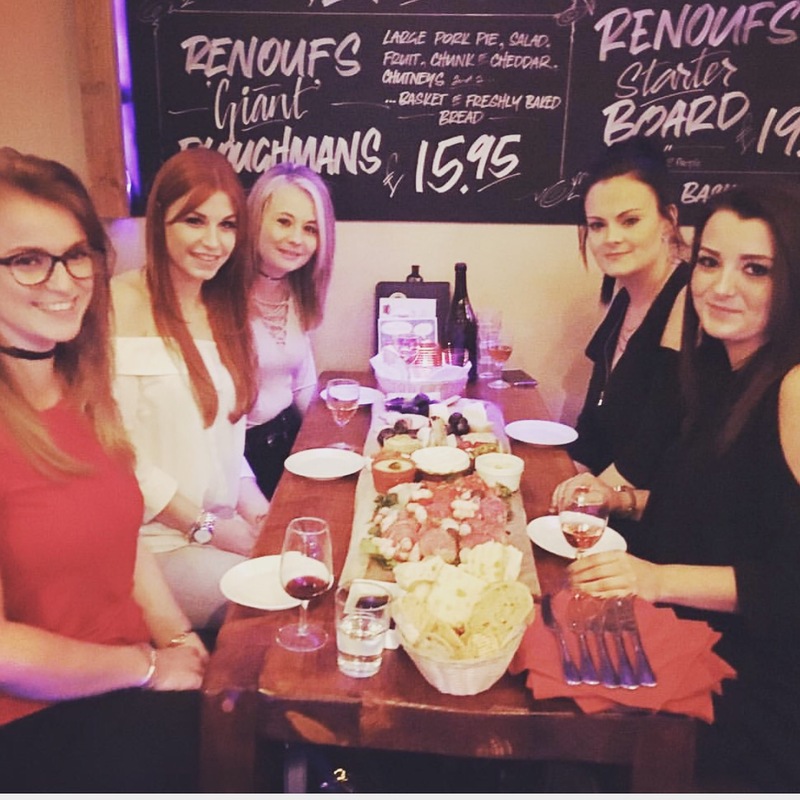 So on Wednesday night I had a date night with my girlfriends for 2 of their birthdays, we decided to try renoufs Westbourne which is a cheese and wine bar and I have to tell you all how much of a “must try” it is!! The staff were brilliant in there and because it was our first time we had a lovely waiter explain the whole menu and all the wines. 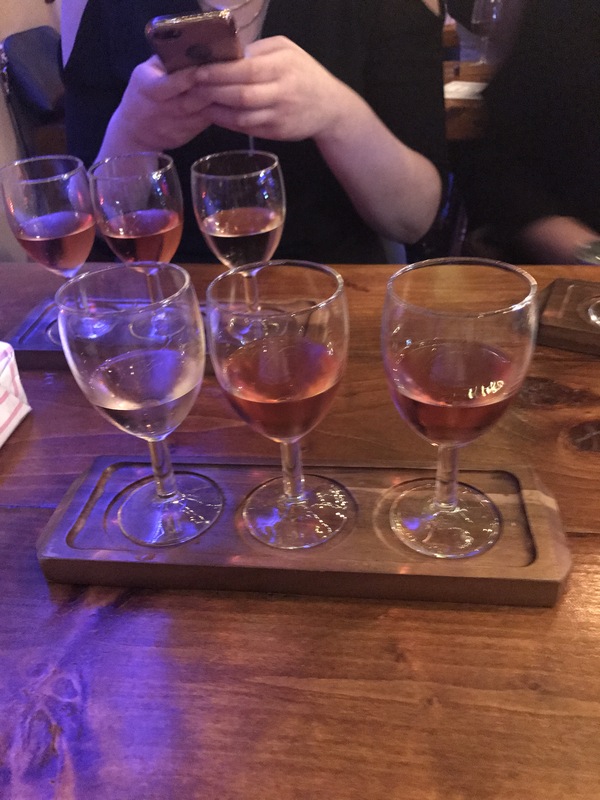 We obviously wanted to go all out so shared a £60 meat and cheese board and bought the taster wines so we could try 3 different rosè’s at the same time. I’m becoming more partial to red wine now and I can only put it down to the fact that now im 25 my taste buds have matured and I don’t find it as rank as I used too (maybe it has something to do with the colour? I always expect it taste something like ribena!) 😂. 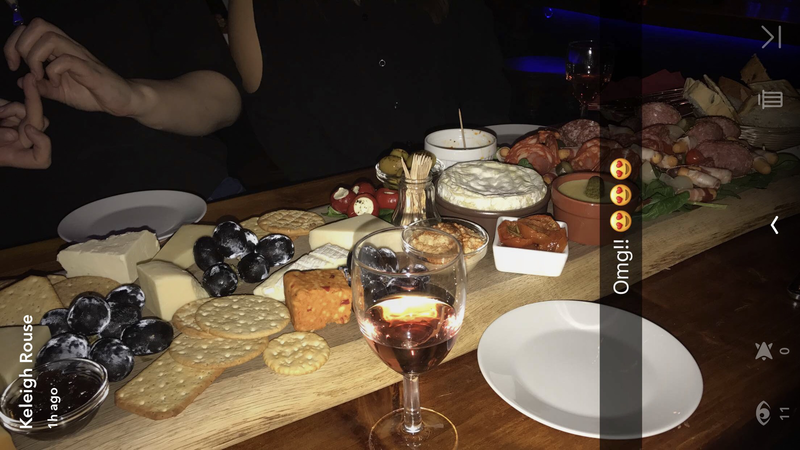 We were told what cheese compliments what wine and what we eat with what- believe me when I say when the board arrived i don’t think we anticipated just how big it would be!! I mean look at that picture! It’s huge! !👆🏼👆🏼👆🏼 it’s quite a small bar but it’s nice and snug, it’s not too loud and we could all have a conversation without repeating ourselves over and over. We had 3 bread baskets with the board and a melted Camembert added on because who doesn’t like Camembert?! We weren’t waiting ages for it all to come out either, we had some complimentary bread, oil and olives as apparently it was taking slightly longer than normal so that was a nice touch! Let me know what you think if you try it out, links to twitter and Instagram below. everything written in this post are of my own views on these products and nobody else’s. Pictures are my own.